Commonly known as the Stasi, the East German secret service was one of the most effective and repressive intelligence and secret police agencies ever to have existed. One of its main tasks was spying on the population through a vast network of citizens turned informants, and fighting any opposition by overt and covert measures, including hidden psychological destruction. Naturally, young people were not an exception, especially those that belonged to some underground subculture, such as punks, grufties or metalheads. 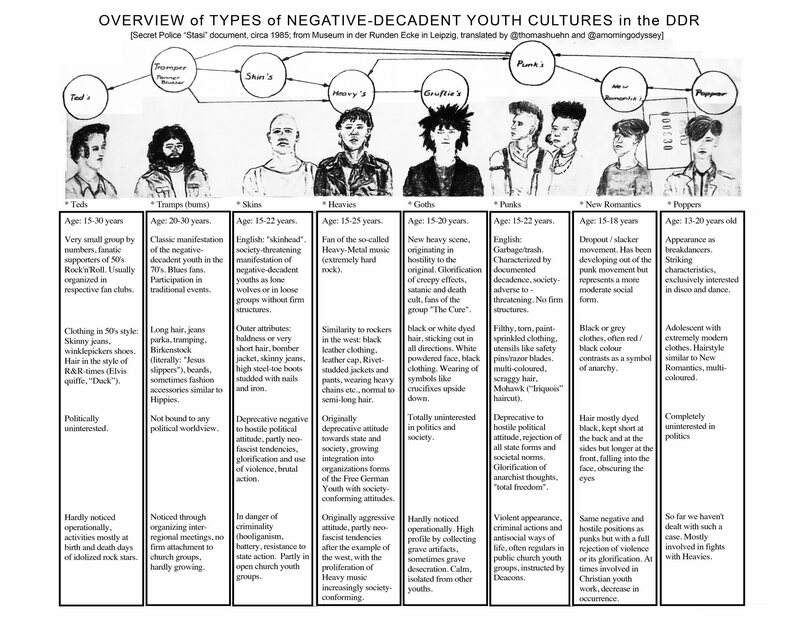 This circa-1985 internal guide used to identify the “types of negative decadent youth cultures in the German Democratic Republic.” It was posted on Twitter by musician and writer S. Alexander Reed and later translated into English by a few of his followers (see the resulting English version below). 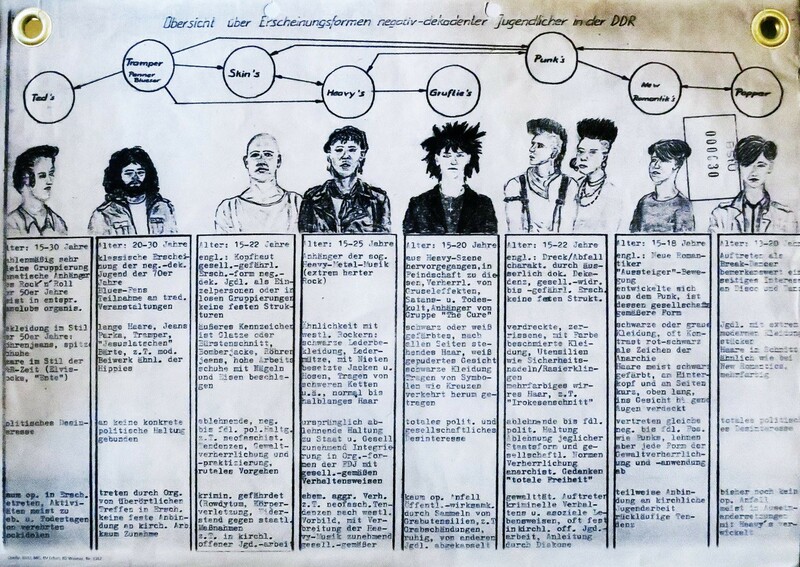 It breaks down the supposedly decadent youth cultures of mid-1980s East Germany into eight groups, describing their interests, appearance, political inclinations, and activities.